SANTA FE, N.M. — Snowflakes lift on a gentle wind and blanket the red-clay adobe structures of this high desert city. The flakes are all shapes and sizes and encourage a gloved hand to capture one briefly, have a textbook moment, and observe individual patterns and differences. It’s eye candy for the senses, but the snow also makes this a great opportunity to test Toyota’s newest sport-utility vehicle, the Highlander, and to notice its individuality in today’s sea of SUVs. 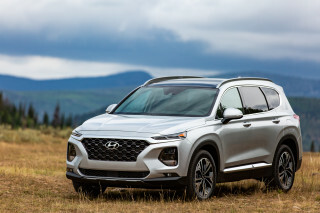 First, I evaluate the 2WD version of this all-new compact model on Santa Fe’s urbanthoroughfares and byways, where the pavement is slick and the traffic is slow. Its handling is clearly competent. More fun, however, is when I motor to the mountains above the city in the Highlander’s all-wheel-drive version, ascending into the evergreen-forested high country, where cross-country skiers and outdoor enthusiasts play in this new-fallen white stuff. The slush and snow on the roadways is deeper now, and hairpin turns abound, but the Highlander is never unsettled. Following Toyota’s route book directions, I leave the pavement behind and take a backcountry trail into a winter wonderland. Here, the Highlander’s 4WD traction makes it an easy run through the forest, and up and over a mountaintop. All too soon, I’m headed back to the city. Toyota, once best known in America as an import automaker of reliable, economical, fuel-efficient small cars, hopes that it will soon be recognized as a driving force in the truck/SUV arena. Witness the events of the past year, during which this Japanese manufacturer has flooded this now-popular market with new offerings and updated versions of its previous models. 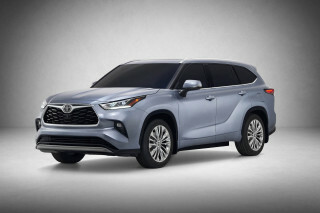 Upping the ante in the “cute-ute” segment, Toyota introduced a smart, second-generation RAV4, then launched the all-new mammoth Sequoia, its second entry into the full-sized, V-8 segment of the market and a smart sister to the rugged Land Cruiser. When you add in the Tacoma Double Cab, it’s clear to see that Toyota has done its best to pace the pack from Detroit with innovations and offerings in the light truck market. On sale in mid-January, the Highlander was specially designed for an emerging market of midsize SUV drivers: those who want the ground clearance, rugged suspension and off-road durability of an SUV, but the ride, handling and design cues of a car. Joining the popular 4Runner as part of its midsize-ute lineup, the Highlander will be a smart alternative for those who want Toyota quality and economy but are looking for a vehicle with less of the traditional trucklike capabilities. 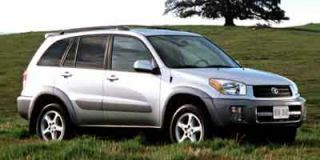 Toyota expects more female, family-oriented buyers to gravitate toward this reasonably priced, five-passenger SUV. 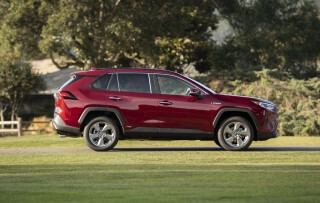 Its 2.4-liter, in-line four-cylinder base engine delivers 155 horsepower at 5600 rpm, and Toyota engineers say only 87 octane unleaded gasoline is needed for peakperformance. Still, most buyers will choose the optional 3.0-liter, DOHC V-6, a proven workhorse that has won various awards multiple times. Cranking out 220 horsepower at 5800 rpm, the V-6 runs at its best with 91-octane fuel. 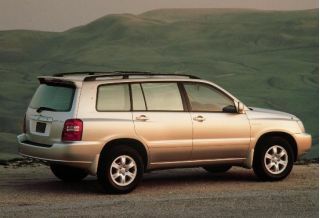 Built on a platform similar to that of its best-selling Camry sedan, the Highlander is available with either two- or four-wheel-drive, paired to an electronically-controlled four-speed automatic transmission, which provides smoother shifting, “down-hill shift logic” (leaving the uphill maneuvers to the Dadaists, we suppose) and low noise. 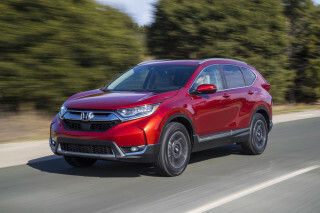 The 4WD version comes with an integral transfer case that houses the front differential to minimize torque steer (when the engine’s torque helps steer the car), and includes a center differential with viscous coupling to provide better traction. To improve on- and off-road driving safety, the Highlander comes with a standard anti-lock braking system that includes brake assist and electronic brake force distribution (EBD). The EBD, which was developed to respond to both roadway conditions and individual driving style, controls individual wheel cylinder pressures when necessary to offset slippage or a poorly navigated turn. Brake assist supplements the driver’s foot if adequate pressure is not applied to activate the ABS. The Highlander’s somewhat awkward visage is straight out of the hybrid-vehicle textbook. High ground clearance, a low beltline, and station wagon-like rear end, all resonate the efficiency of tall-wagon design. 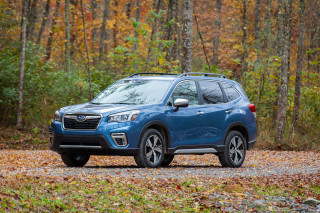 The nose anchors a sleeker, smoother roofline that resembles recent hybrid designs from Subaru (Forester) and Volvo (Cross Country). 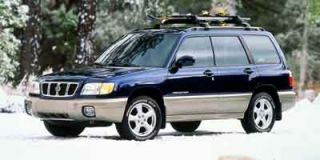 On top, buyers can add a sturdy roof rack to carry skis, luggage or excess cargo (it’s standard on the Limited version). 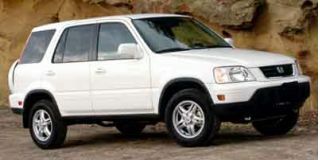 Pronounced headlamps frame the three-tiered front grille, and fog lamps are recessed into a sturdy front bumper. Both front and rear bumpers are reinforced with extruded aluminum for added durability and crash resistance. Other distinguishing cues are the two chiseled lines along the sides, creating a more muscular, SUV-like shape. Corrosion-proof steel body panels are available in several new colors. Inside, the Highlander sports a comfortable cabin with front captain’s chairs, a workmanlike instrument panel and a lowered front console that incorporates the automatic gearshift and two power outlets. This configuration allows for open space between driver and front passenger seats, but eliminates the center console with storage compartment that many owners find useful. The Limited package, which should account for about half of sales, includes luxury highlights such as wood accents on the dash and door panels, a theft deterrent system and a rear spoiler. All buyers will enjoy the three-in-one audio system, outfitted with AM/FM cassette and CD player, and six speakers. 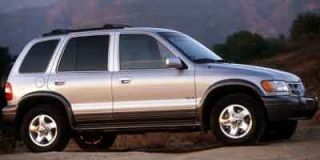 Those who purchase the V-6 engine can opt for a JBL stereo system with eight premium speakers and the option of a six-disc, in-dash CD player. Air conditioning, cruise control and tilt steering are standard. A Homelink garage door opening system is available as are automatic climate control (available on V-6 only), tinted windows and a power moonroof. Safety features include a high-strength body shell for “passive safety” in the event of a frontal or side-impact collision. All five seating positions include three-point seat belts, and a children’s seat restraint package is built in to the rear seats, which split 60/40 forstowage convenience. Side seat-bolster airbags are optional. 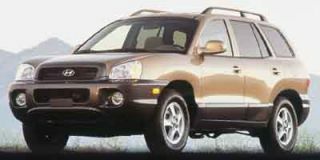 The Highlander can tow a modest 1500 pounds with the base four-cylinder engine, 2000 pounds with the V-6. An optional towing package, which controls engine heat with a water-cooled air cooler, extends towing capacity to 3000 and 3500 pounds, respectively. 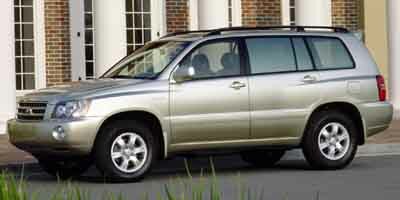 As with its full-size Sequoia, Toyota wants to strike an advantage of reasonable pricing for the Highlander. Toyota estimates the range will begin in the low $20,000s and top out around $30,000. Toyota expects to sell more than 70,000 Highlanders in its inaugural year and believes most buyers will opt for the larger V-6 engine, and that more than half will pay slightly more for its four-wheel drive models. As to how many buyers will take a flight of fancy and don tartan in honor of the name — you’ll have to start counting for yourself.